Despite having survived on this planet for 31+ years and having a collection of many leather bound books, there are things that I still do not understand about life. I’ve enlisted both Google and Siri (who’s a filthy trollop for the record) only to continue to be disappointed by a lack of explanation or reason. If you can offer any assistance in bringing the following mysteries of life to light I will be forever grateful. 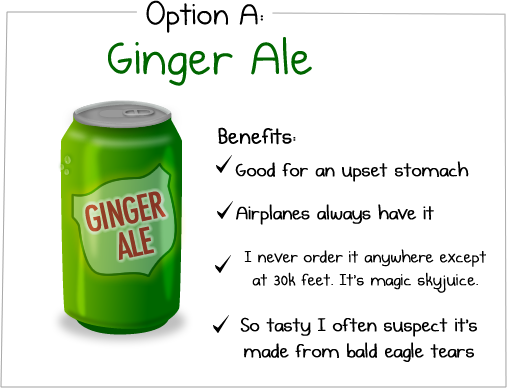 Why is ginger ale so delicious only when served at a cruising altitude?